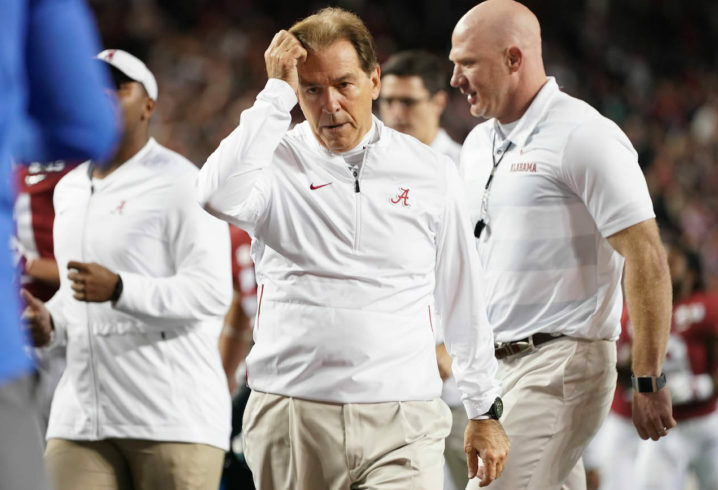 The Alabama Crimson Tide got embarrassed in the College Football Playoff National Championship Game, losing to Clemson by the lopsided score of 44-16. Ever since that night in early January, everyone has been wondering what the heck happened to the Crimson Tide against the Tigers. [H]e attributed the bad result to the absence of the “Alabama factor” that helped the Crimson Tide emerge as the top college football program during this decade. With another elite recruiting class coming in this fall, the Tide will be expected to be one of the top teams in the country again. Will we see another Clemson-Alabama final? We certainly could get that matchup once again this coming season. Clemson beating Bama didn’t hurt Auburn either..
Not really. It was expected. It may not hurt you but it hurts Auburn. Auburn recruits against Bama in the state. Bama signed 4 of the top 10 recruits out of the State… Auburn signed 1…. It also hurts Auburn as the boosters and administration get tired of losing to Bama. It puts pressure on the coaches…. You’re in a dream world if you think it doesn’t hurt. Tired of losing? Gus is 2-4 against Saban isn’t great but not many coaches can say they have 2 wins against him. Can’t win them all. Out of top 10 recruits in the state of Alabama from 2013 (Gus’s first year) Alabama has 31 compared to 21 meaning up until this year it was 27-20. That’s not terrible for a “mediocre, high school, trick playing, always on the hot seat” head coach. Yes, tired of losing.. Going 2 and 4 against your in state rival isn’t getting him any friends in the administration or boosters…. This is just from an Auburn perspective but losing to teams like MSU, tenn, LSU and uga are the reasons Auburn is frustrated. For me, I understand bama is at the top for now so going 2-4 is not terrible considering the opponent. Going 2-5 against uga, 2-4 against LSU and 3-3 against state is what makes me mad. What?!?! Alabama didn’t win another B2B national championship? They lost to a senior-laden class with a phenomenal freshman QB/WR duo? They didn’t go 15-0? That program is a dumpster fire and the so-called “dynasty” is dead. Saban is about to kick the bucket and no one will remember the Tide-pods in 10 years. That’s why they beat Georgia right? But the dynasty is dead? Isn’t it? That’s why they have the number one recruiting class, because the dynasty is dead? That’s a weak attempt at rationalization there, Nicky. He won’t say it, but it was the turnover on staff. Everyone knows it. That revolving door finally caught a digit. 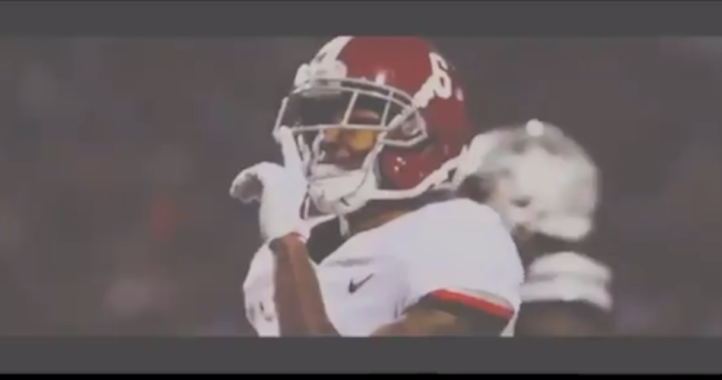 A season-long deficiency of concentration, blown coverages, and generally indifferent play in the secondary finally caught up with Bama against Clemson — which, despite what Bama-haters would love to believe, was not and is not a program that is four-touchdowns better than Alabama, game in and game out. Two years ago, Saban took Clemson to school in the CFP semifinal by holding the Tigers to 188 yards of total offense in a 24-6 win. Yes, I know. Trevor Lawrence hadn’t arrived yet. But the reason for that thumping in part lay in leadership in the secondary, especially by Minkah Fitzpatrick. Lawrence is unquestionably a talented kid, but really…did he do anything particularly special against Alabama…anything that 5-star corners and safeties, properly motivated and well-coached, couldn’t have neutralized? No. 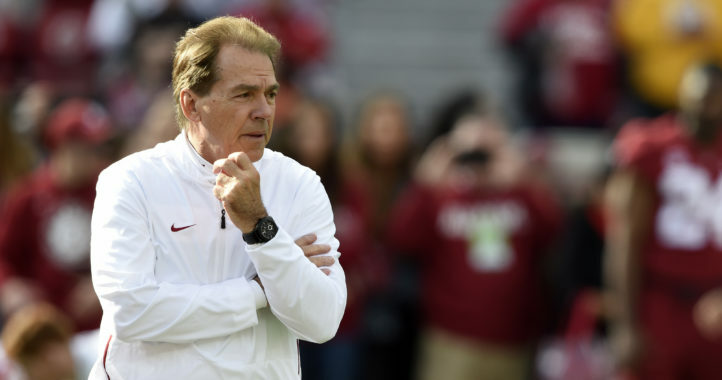 Saban is not likely to let this year’s embarrassment pass unnoticed in the spring and summer, and I expect Alabama will take the field in 2019 with revenge on its mind. If that happens, a repeat with Dabo is likely to look a lot different from what we saw last month. Really good drugs with really short half-lifes.